Gilbert bankruptcy attorney with $0 down filing. Best debt relief in the east valley. Call our office for a free consultation. We offer debt relief through chapter 7 and chapter 13 bankruptcy. Our experienced Gilbert bankruptcy lawyers have assisted thousands of people in Gilbert and throughout Arizona file for bankruptcy protection. 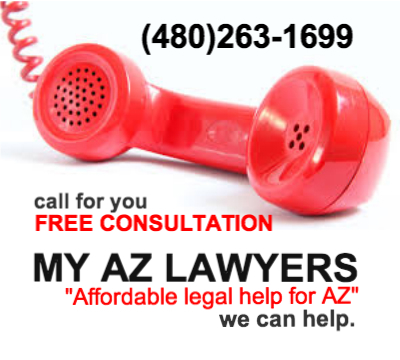 Our low fees and experienced attorneys meld for a formidable debt relief venue for people in Gilbert, Arizona. My AZ Lawyers is a Gilbert, Arizona bankruptcy law firm offering help to individuals and small businesses with financial challenges in Mesa, Chandler, and Gilbert, Arizona. Our low cost bankruptcy law firm offers bankruptcy assistance as well as experienced attorneys, payment plans, same day consultations, foreclosure defense, and consumer litigation. We also offer free consultations and emergency bankruptcy filings for individuals, families, and businesses throughout Phoenix, Mesa, and Gilbert, Arizona. Your first bankruptcy consultation is an opportunity for your Gilbert, Arizona bankruptcy lawyer to review your circumstances. Along with determine your eligibility for bankruptcy, and explain the benefits and consequences of filing for bankruptcy in Arizona. Upon arriving at our Gilbert bankruptcy law office, you will be asked to complete a short intake sheet. The intake sheet consist mainly of a list of your estimated monthly living expenses. At your Free Consultation you will then meet with one of our experienced bankruptcy lawyers who will ask questions regarding income, assets and other related questions. Our lawyer will then summarize your debt relief options and explain the process and possibilities of filing for bankruptcy protection. You will have the opportunity to ask questions about the effect bankruptcy will have on you, your family, or on your business in Gilbert, Arizona. We ask that you bring your most recent pay stubs, a copy of your last filed tax return, and any notices of lawsuits or garnishments. If you plan to retain our Gilbert, Arizona bankruptcy law firm of My AZ Lawyers, you will need the means to pay the retainer or set up a payment plan with our bankruptcy attorneys. Our Gilbert, Arizona bankruptcy firm offer many payment plans and payment arrangements. We also have a payment plan for every budget and every client. What questions should I be prepared to answer with my Gilbert bankruptcy attorney? You will typically meet with a bankruptcy lawyer from our Gilbert, Arizona bankruptcy law firm on 3 occasions: your initial consultation, a petition signing appointment where we will review and sign the documents that we will be filing with the Arizona Bankruptcy Court, and we will represent you at your 341 bankruptcy hearing. How long will my initial consultation last with my Gilbert bankruptcy attorney? Our Gilbert Bankruptcy Attorneys offer a free one hour initial consultation; for people in need of debt relief in and around Gilbert, Arizona and Maricopa and Pinal Counties.